"We Create Interactive, Intuitive And Incredible User Interfaces"
There are some features of the ReactJS app development that we make sure our customers get access to. 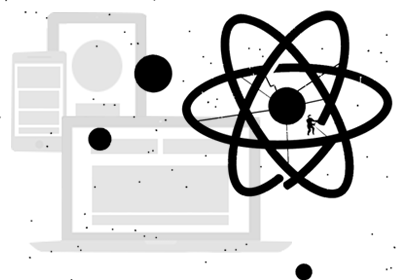 Component preparation:- The react allows the user to prepare components which can be used multiple times without writing any new code. The lucidity of the information:- The information which the react carry is simply understandable. Hence it is user-friendly up to a large extent. The flexibility of ReactJS development:- The React JS development is highly adaptive. A team which works with ReactJS can finish the work faster with better accomplishment. Library of Components:- Easy sharing and reusing of several components are common for a number of multiple purposes in case of ReactJS. This happens because the React JS is fully a component-based technology. The Virtual DOM Technology:- It is one of the main features of ReactJS app development that it uses simpler programming model. IndiaInternet is always keen upon the fact that the customers get exquisite performance in terms of programming and speed. Lesser Dependencies:- No external dependencies are related to the ReactJS protocol. We offer effective ReactJS app development with which the customer can be satisfied. IndiaInternet is well efficient and can promisingly deliver the following services.